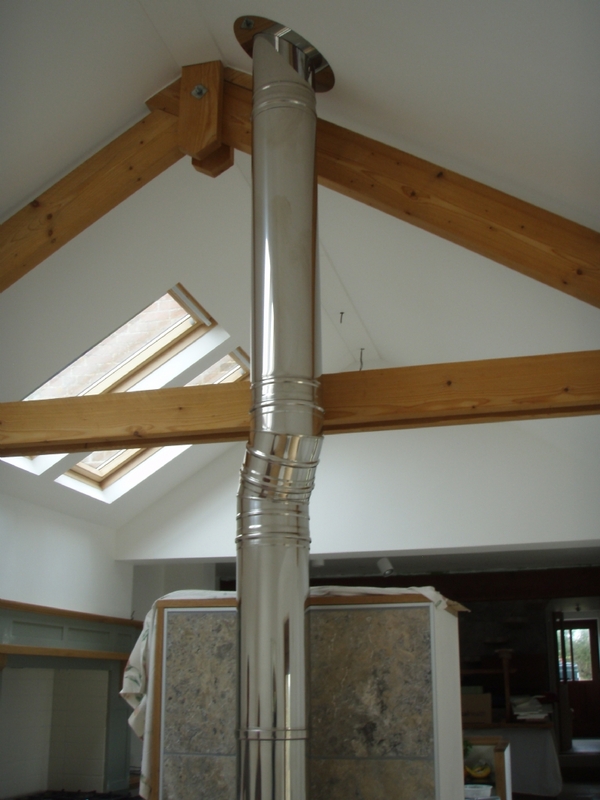 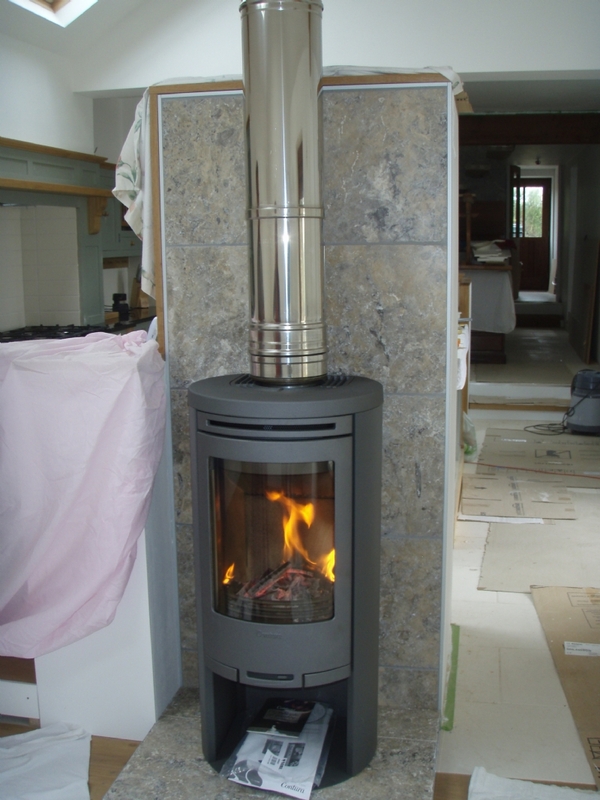 Contura 556 freestanding wood burning stove installation from Kernow Fires. 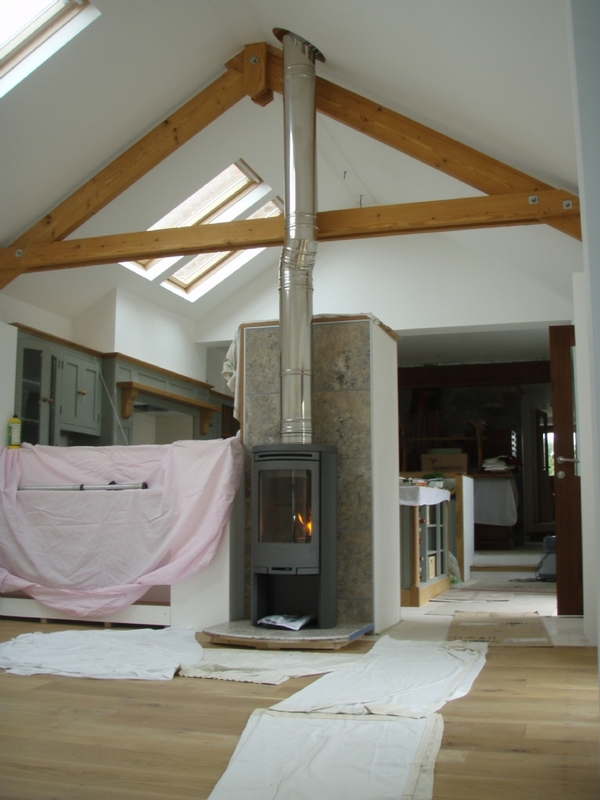 This spectacular room is brought to life with this Travertine fireplace created by the customer in the centre of the room. 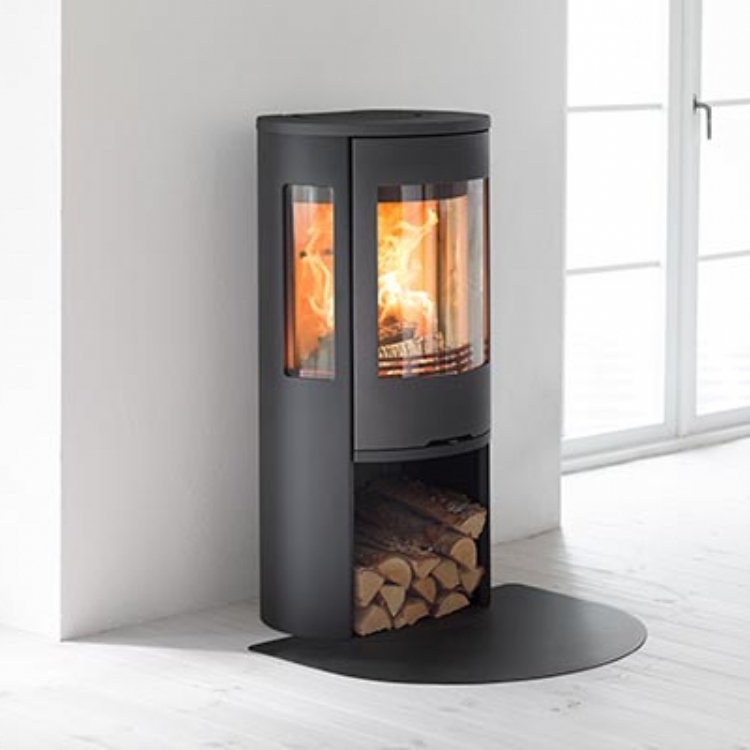 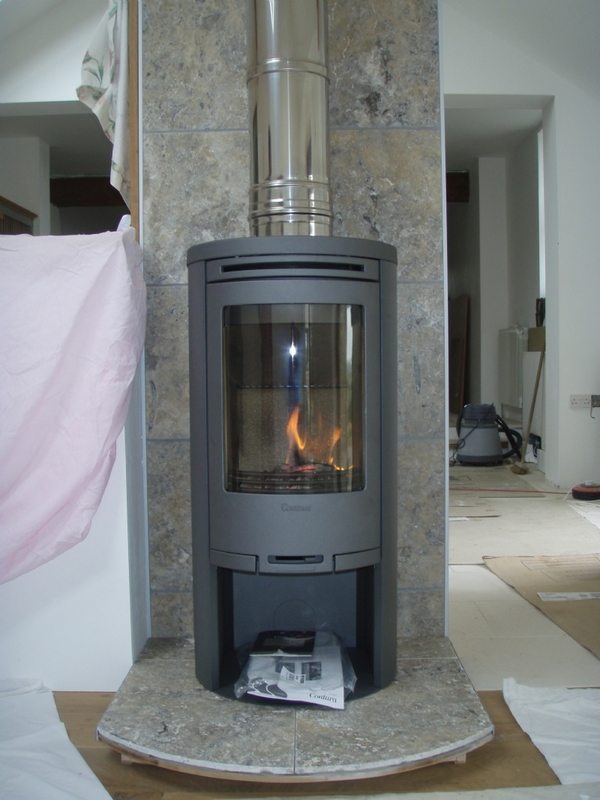 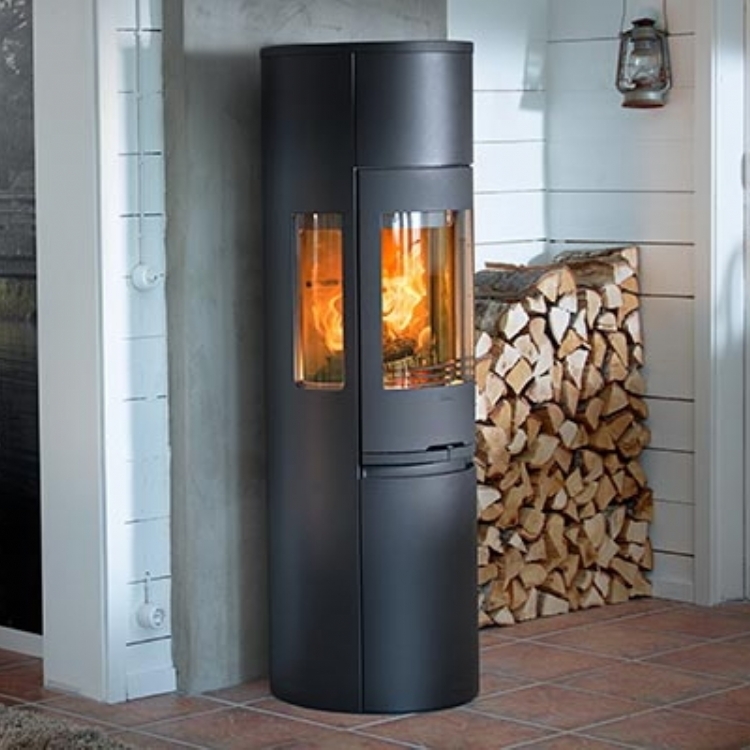 The grey Contura 556 looks really good with the choice of tiles.